Temperatures are important to enthusiasts and gamers, so we took a bit of time and did some temperature testing on the NVIDIA GeForce GTX 650 Ti Boost (GK106) video cards that we have today. 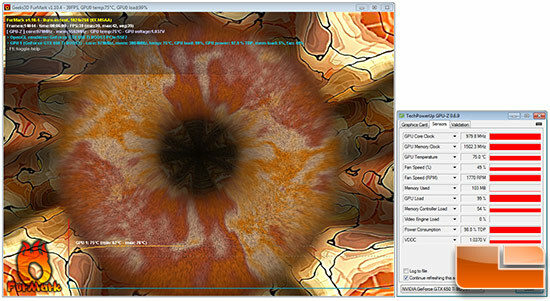 The NVIDIA GeForce GTX 650 Ti Boost reference card had idle temperature of 29C in a room that was 22.0C (72F). The EVGA GeForce GTX 650 Ti Boost SuperClocked card idled at 33C and the fan was spinning about 100RPM faster, which meant that it was hotter, but we couldn’t hear a difference between the two. 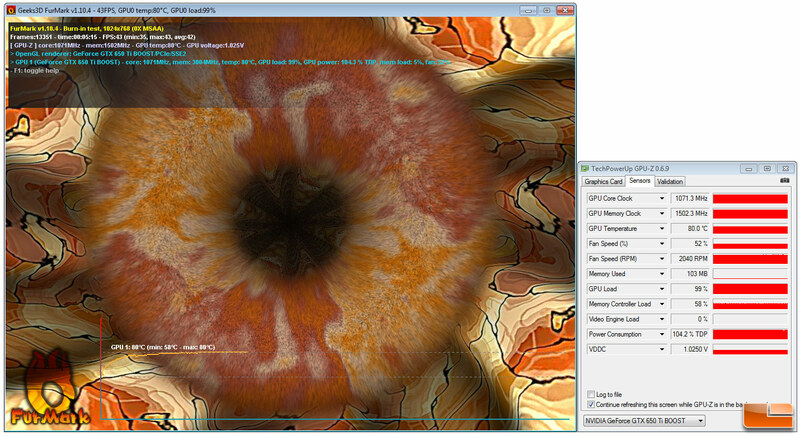 It was here that we noticed the EVGA GeForce GTX 650 Ti Boost SC card uses a different GPU heatsink and a features different fan profile in the vBIOS. When it comes to load results the NVIDIA GeForce GTX 650 Ti Boost reference card peaked at 76C and the EVGA GeForce GTX 650 Ti Boost SuperClocked video card peaked at 80C! Once again take a look at the fan speeds. 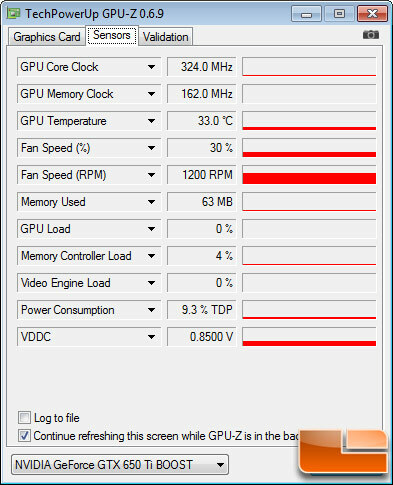 The reference card topped out at around 1700 RPM and the EVGA card went all the way up to 2040 RPM, so there is both a noise and temperature difference here. For sound testing we use an Extech sound level meter with ±1.5dB accuracy that meets Type 2 standards. This meter ranges from 35dB to 90dB on the low measurement range, which is perfect for us as our test room usually averages around 36dB. 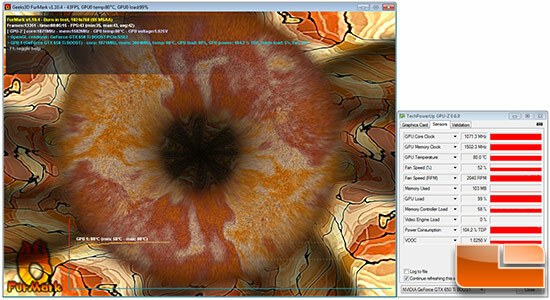 We measure the sound level two inches above the corner of the motherboard with ‘A’ frequency weighting. The microphone wind cover is used to make sure no wind is blowing across the microphone, which would seriously throw off the data. 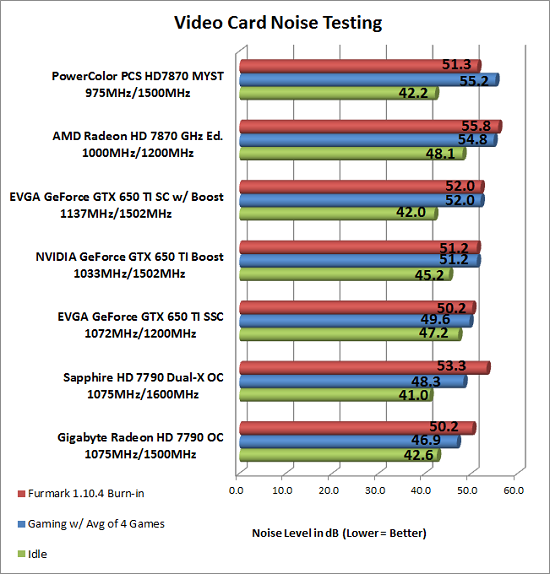 When it comes to noise levels the EVGA GeForce GTX 650 Ti BOOST SC was louder than the reference card when at load, but was a bit quieter at idle. Maybe that fancy exhaust bracket with all the extra exhaust holes in it does make a bit of a difference when it comes to fan noise!